Although a European invention, roller coasters have been an all-American obsession ever since the first one appeared on these shores 130 years ago. Today, there are more than 650 working coasters in the United States. America, it seems, is the land of the free and the home of the adrenaline junkie. But American coasters weren’t always scream machines. They evolved over time, with specific coasters paving the way for those that followed. Ten rides in particular show how coasters in the United States went from humble beginnings to the towering speed demons of today, changing the way thrill-seeking Americans get their kicks. 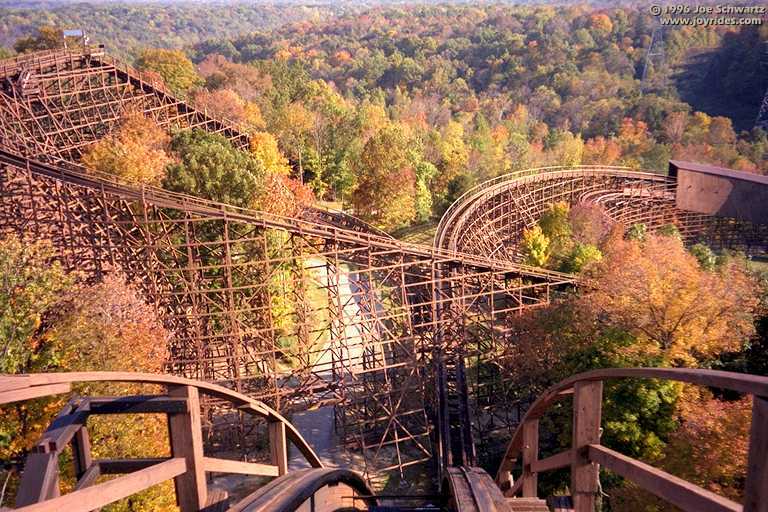 The founding father of roller coasters was actually a working railway built to transport anthracite in Pennsylvania’s coal country. A “gravity railway,” it was powered only by pack mules that pulled it up the steep inclines. Downhill momentum took care of the rest. Word of the exhilarating ride spread, and soon the railway was accepting paying passengers who rode just for the thrill of it. 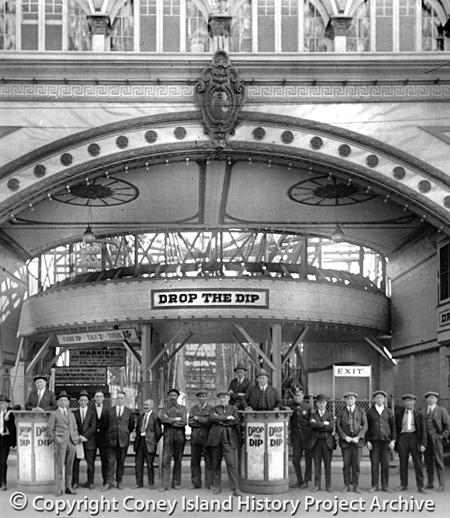 It eventually became one of the biggest tourist attractions in America, spending its last five decades in service solely as a source of amusement. In 1884, inventor and businessman LaMarcus Adna Thompson constructed his own version of Mauch Chunk’s Switchback Railway at Coney Island. Riders climbed to the top of a wooden tower and boarded a cart affixed to a length of track. With a mighty push, they were sent down a hill and over a series of bumps to the other end of the track. 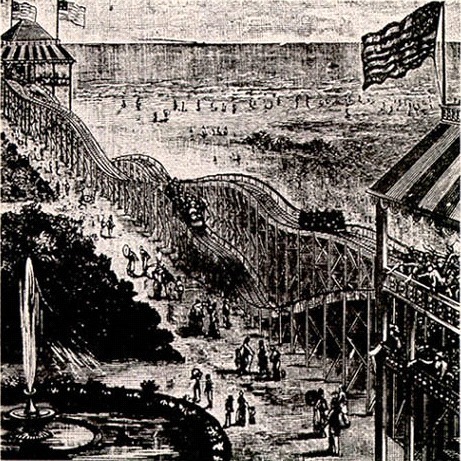 It was the first gravity railway in the country built expressly for the purpose of entertainment, thus becoming America’s first roller coaster. Ever get goose bumps when ascending a coaster’s first big hill? Ever thrill to the sound of the clanking lift chain as it pulled you higher? If so, you have Phillip Hinkle to thank. 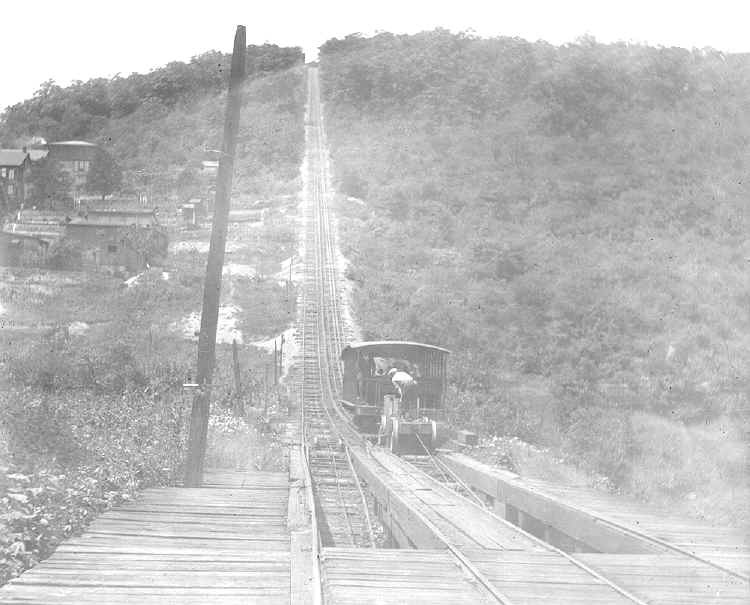 A year after the Switchback Railway’s debut, Hinkle got the bright idea to use a powered chain to carry cars to the top of the hill, rather than have riders climb there themselves. This development boosted speed, efficiency and, best of all, profits. Roller coaster designers never looked back. The Flip Flap Railway went where no American roller coaster had gone before — upside down. Two-person cars were sent careening down a hill and through a circular loop. The shape of the loop, though, was rough on passengers, causing discomfort, whiplash and other neck injuries. And although the Flip Flap spawned many imitators, owners soon discovered that people preferred to watch others go topsy-turvy rather than suffer through the experience themselves. With unprofitability, the fad soon faded, although not without first proving that coasters could draw riders and spectators in equal measure. For more than two decades, roller coaster riders were kept in their seats with either thin chains, leather straps or, startlingly, nothing at all. That all changed when Drop the Dip made its debut. Featuring steep drops and sharp turns, it was a far cry from the relatively genteel coasters of the late 1800s. All those hills and angles required a better way of keeping passengers from flying out of the cars. Lo and behold, the lap bar was born. This new safety restraint allowed future roller coasters to go faster and higher. Revere Society for Cultural and Historical Preservation, Inc. Location: Revere Beach, Revere, Mass. 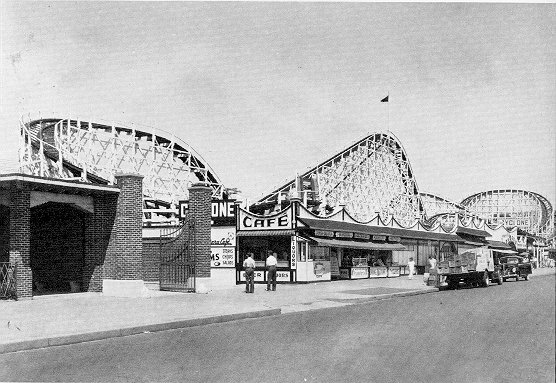 When faced with the words “The Cyclone,” most people rightfully think of the one in Coney Island, which opened in 1927 and still thrills riders today. Yet, for historical purposes, it’s trumped by a Cyclone built two years earlier and more than 200 miles to the north. This other Cyclone is notable for being the first roller coaster to reach 100 feet in height, pointing the way for future skyscraping amusements. It held the title of world’s tallest coaster until 1964. Not bad for a ride eclipsed in history by its Coney Island cousin. Walt Disney’s namesake park set the standard by which all others are judged. 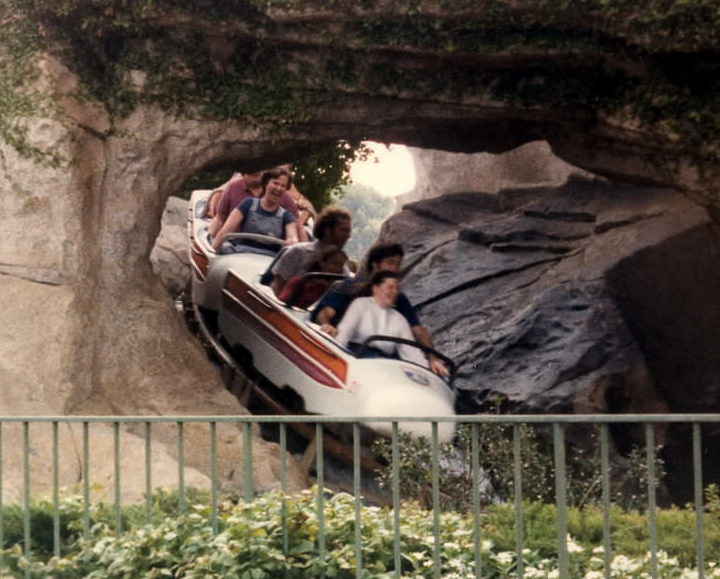 And when Disney got the idea to send riders careening through an ersatz Matterhorn mountain, it prompted another breakthrough — tubular steel tracks. At the time, coaster cars traveled on flat tracks, which limited the degree of turns and sacrificed smoothness. Seeking to replicate the feel of a toboggan ride, Disney had his Imagineers devise a new kind of track using tubes of steel. The result was a smoother trip, tighter twists and a design that changed the industry. Location: Knott’s Berry Farm, Buena Park, Calif.
After the Flip Flap Railway and its ilk vanished, Americans had to wait 80 years before a roller coaster could safely flip them head over heels. 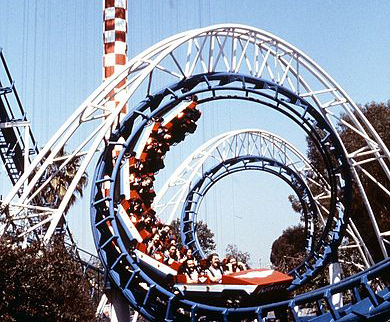 The coaster to claim that territory was the Corkscrew, which had the audacity to go upside down not once, but twice. Imitators quickly followed, and soon roller coasters across the country were giving riders a head rush. 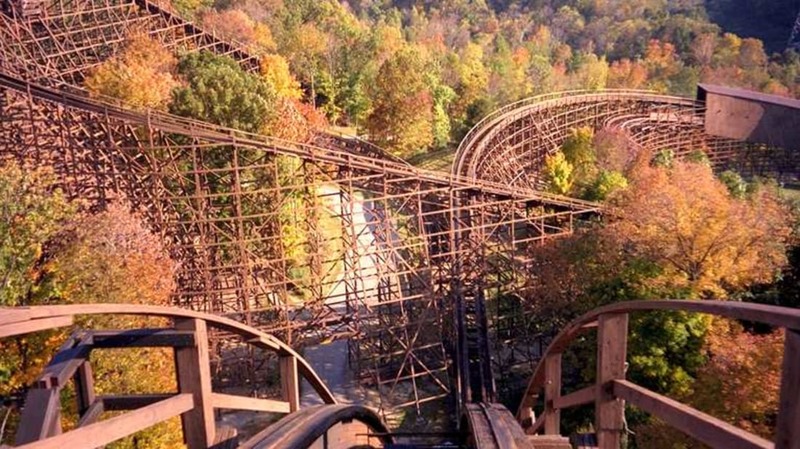 When it debuted, the aptly named Beast was the tallest, longest and fastest wooden coaster in the world. 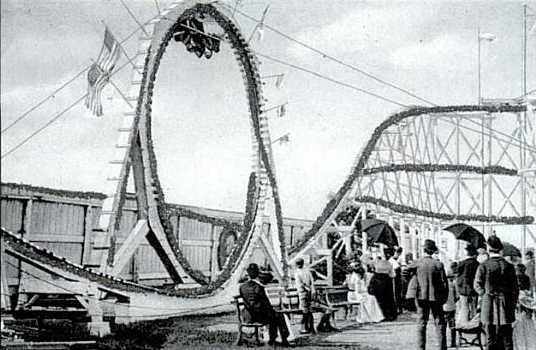 It was also the first roller coaster marketed to a mass audience. An unprecedented publicity blitz heralded its arrival, featuring magazine pieces, reports on news programs and, unheard of at the time, TV commercials. The Beast became an overnight celebrity. Everyone knew about it, and everyone wanted to take it for a ride. After that, the commercialization of giant coasters became the norm. Ever since the Cyclone topped the 100-foot mark, American roller coasters have only crept higher, spawning names for every new elevation reached. Hyper coaster. Giga coaster. And, with the record-shattering Top Thrill Dragster, strata coaster. Blasting riders up and over a 420-foot hill at a top speed of 120 mph, it was a new kind of ride for a new millennium. Bigger, faster, more extreme. 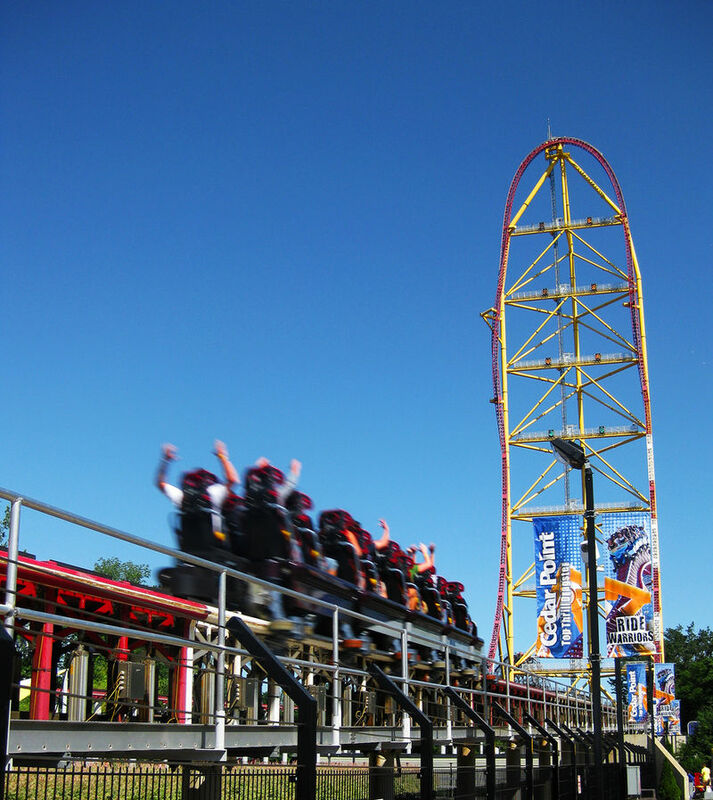 Although it’s no longer the tallest or the fastest, Dragster pointed roller coasters in a new direction — straight up.